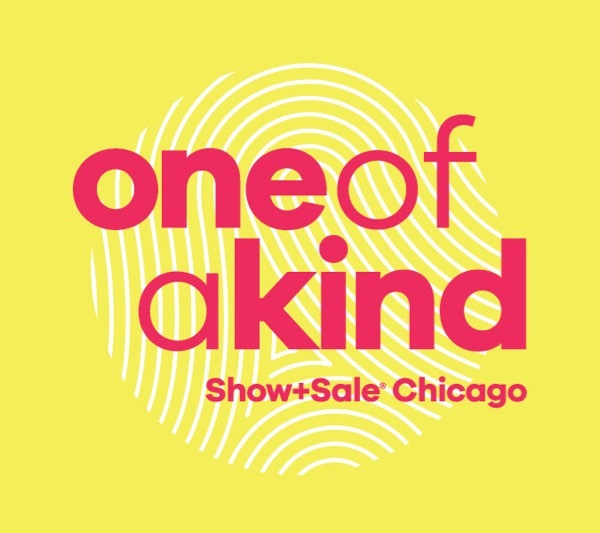 The first annual One of a Kind Spring Show is this weekend (April 29th-May 1st) at the The Mart (222 West Merchandise Mart Plaza, 7th floor, Chicago). There will be over 300 talented artists selling their work along with fashion shows, gourmet food demonstrations and even live music performances. You won’t experience anything else like this; hence, one-of-a-kind 😉 I hope to see you there and make sure to follow along on Snapchat: hallways runways for live coverage. P.S. Make sure to pick up something for Mom and Dad at the show! You’ll thank me later. For the first time ever, the One of a Kind Show is partnering with the Lillstreet Art Center, a Chicago institution that has been supporting art in the Chicago community for 40 years. The art center will host complimentary demonstrations, workshops and hands-on experiences throughout each day of the show. Lillstreet will introduce shoppers to their unique class offerings including ceramics, metals, drawing and painting, textiles and printmaking that are perfect for the whole family including some classes specifically for children. Shoppers can return home not only with wonderful work from the One of a Kind Spring Show artists but also their own artistic creations. Talented musicians from the Old Town School of Folk Music will perform live music throughout the show at the Patio Bar, located in the center of the show floor. Shoppers can enjoy One of a Kind Spring fashions on the runway. Women’s wear, jewelry and accessories will be featured on the Fashion Stage on the east side of the show floor. The One of a Kind Spring Show will present three fashion shows, Friday at 6 p.m. and Saturday and Sunday at 1 p.m. Shoppers can indulge their taste buds at the show’s Gourmet Market on the west side of the show floor. Guests can also watch cooking demonstrations by The Chopping Block as well as Gourmet artisans. Shopper’s looking for museum ready pieces can visit the Fine Art Gallery in the center of the show floor. The gallery will feature a curated exhibition of painting and sculpture featured at the show. April 29 from 11 a.m. – 8 p.m., April 30 from 10 a.m. – 7 p.m. and May 1 from 10 a.m. – 5 p.m. Tickets are $10 for adults, children 12 and under are free. Special ticket packages are also available. For tickets or more information, call (800) 677-MART (6278) or visit http://oneofakindshowchicago.com. The 16th Annual One of a Kind Holiday Show will take place December 1-4, also at The Mart. *Thank you Carol Fox & Associates for the advance coverage. All opinions are my own. 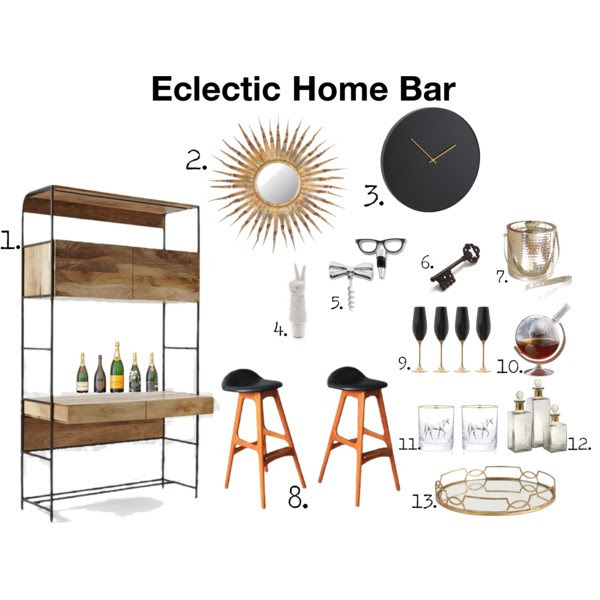 I love a good challenge, so when Chairish approached me for a home bar design I couldn’t wait to start decorating and designed this eclectic home bar with black and gold accents. I started with a non-traditional bar area which actually is a desk. Then I accessorized the bar with these gorgeous Chairish Danish modern bar stools. Like putting an outfit together, the same goes for any part of your home design – it should be a reflection of your own personal style. A good statement clock or mirror are a must for a focal point. I love how the black and gold accents and unique pieces really define this space and are inviting to kick back after a long day’s work. Now, if this design would just magically appear in my apartment, I’d be one super happy girl.